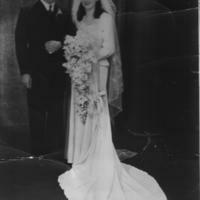 Harry Daniel 'Dan' Babington and Joan Martin on their wedding day at Culcairn on the 12th January 1949. 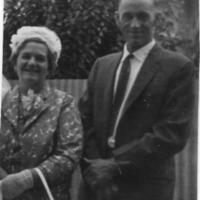 Dan died in the Holbrook Hospital on 9th July 1993. 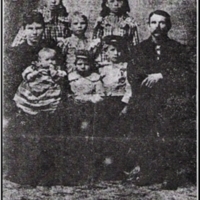 He was 73 years old. 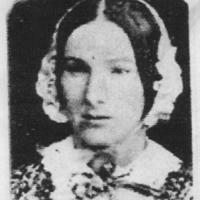 Dan is buried in the Culcairn cemetery. 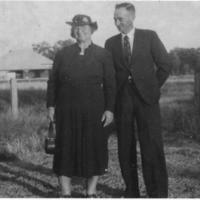 Both Ron and Judy knew each other from the time they were born, they lived in Morven for most of their lives, they both attended the Morven Public School. 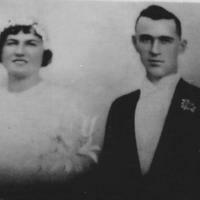 This photo was taken from a portrait of Ron and Judy Brown on their wedding day. 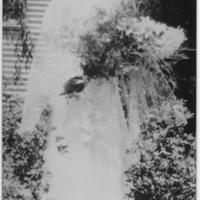 Noreen Doris (Judy) Babington was born on 26th December 1914 at Culcairn, to parents William Babington and Mary Ann Ada Holder. 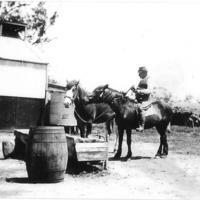 William Charles Hume Babington in his later years, watering his horse at the back of the Hotel at Henty in the mid 1920â€™s. 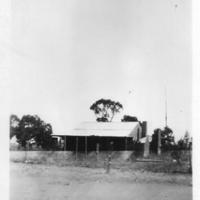 William Charles Hume Babington was born in March 1870 in Townsend Street Albury. 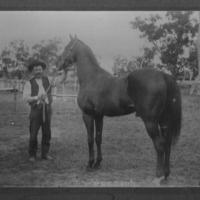 Williams occupation was a Jockey and Groom.